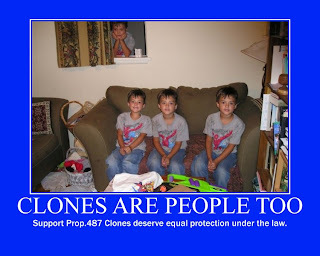 2000 AH: Clone rights campaign on New Palestine. It seems that the battle for civil rights is never ending. It is unfortunate that Industry used clones as unpaid labor doing dangerous jobs for years on many planets through out known human space. Even when the practice was ended clones faced discrimination.